Arve Falls is an enjoyable short stroll following a creek below the main Hartz Mountain carpark. Interpreative signs throughout give walkers an insight into the surrounding vegetation and wildlife. The trail itself is flat and easy to follow. Beginning from the carpark the walk crosses button grass plains before descending to the creek. A look out at the end provides good views of the falls and the valley below. 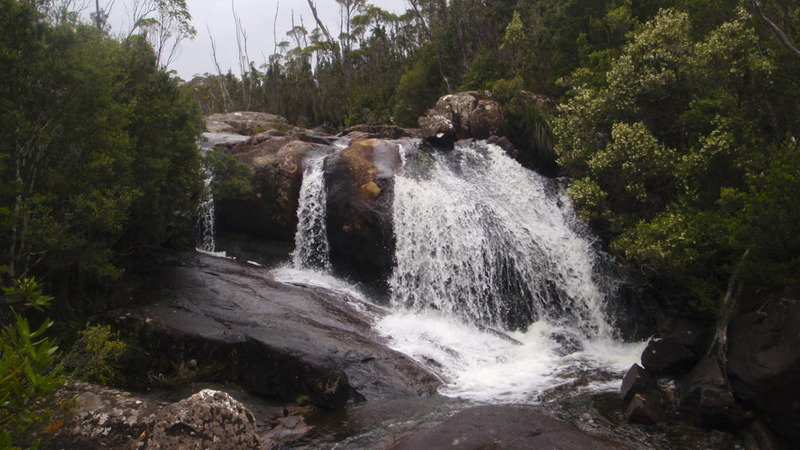 Arve Falls is a worthwhile stop-in for walkers attempting the higher alpine walks within the park such as Hartz Peak. View Google Map Directions Arve falls is within the Hartz Mountain National Park – located 84km south-west of Hobart. 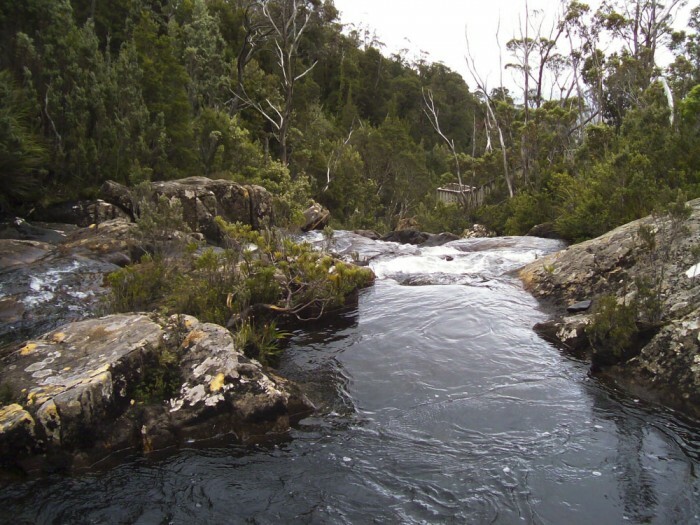 From Hobart drive south via the Southern Outlet and join onto the Huon Highway (A6), follow the signs through Huonville to Geeveston. Once in Geeveston turn right onto Arve Road (C632), at this point there should be a sign post directing you to Hartz Mountain. Follow this road for 8.9km and turn left onto a gravel road (Hartz Mountains Road, there should be a sign). The carpark for the walk is located 1.5km past the Waratah Day use shelter.